As the gateway to Tokyo, Shinagawa is well-connected and easy to get to. With its own history and culture, a vibrant waterfront, a rich verdant environment, and cutting edge redevelopment areas, Shinagawa has many distinctive face. Located in almost the geographical center of the Japanese archipelago, Niigata offers four distinct seasons throughout the year, in spring, summer, autumn and winter. From outdoor fun in the mountains or the sea, to delicious dishes made from season seafood or vegetables, there’s something for everyone here. More and more people around the country have their eye on Niigata these days, whether for its traditional fireworks festivals or its richly individualistic local cooking. Why not come for a visit and experience the attraction of Niigata for yourself? New Chitose Airport is a gateway to Hokkaido. 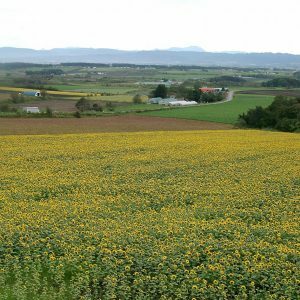 In this New Chitose Airport area:Chitose City Eniwa City Tomakomai City, Naganuma Town, Yuni Town and Abira Town ,you can enjoy a variety of experiences such as dairy farming industry experience, rafting, canoeing, camping, factory tours, and animal theme parks. There are also good-quality hot springs, fresh fruits, vegetables and sea foods. 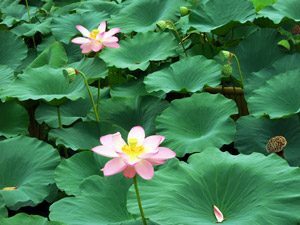 Why don’t you make unforgettable memories in New Chitose Airport area? The Itoigawa UNESCO Global Geopark is located along the Sea of Japan in Itoigawa City, Niigata Prefecture, Japan. Here in Itoigawa, 24 ‘Geosites’ tell stories of the history of our planet, the preservation and use of a wide range of rocks, minerals, and fossils, and the legacy of the connection between man and the earth. 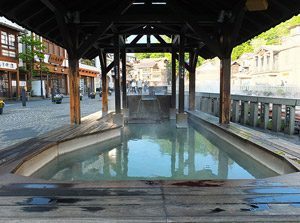 Kusatsu Onsen is considered to be one of Japan’s three great hot spring resorts. Thanks to Its location nestled in the mountains, visitors can experience nature all year round. Katsushika city is located in the eastern-most part of Tokyo, where only takes 20 minutes from Tokyo Skytree by train. 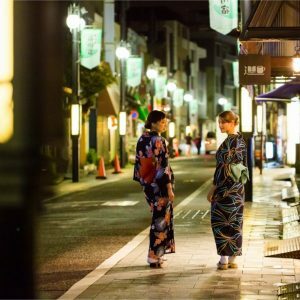 You can enjoy seeing a more traditional image of Tokyo in “Old Town”, such as old shopping streets, local bars, and impressive structures. 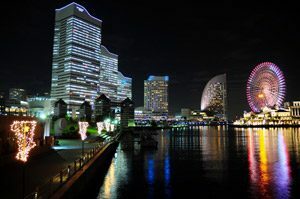 Yokohama is the first harbor city introduced to the world as the entrance to Japan. 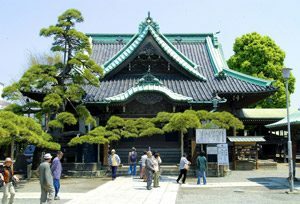 Since the time its port was opened, Yokohama has been vigorously acquiring new cultures and information from foreign countries and introducing to Japan our country’s first-time-ever things from food to a wide range of cultures, which entitles Yokohama as the birthplace of Japan’s modern culture. Nagano City consists of the central area that has flourished as a temple town around Zenkoji Temple and the surrounding mountains. Having hosted the 18th Winter Olympic Games and the 7th Winter Paralympic Games, the City of Nagano has gained international recognition. 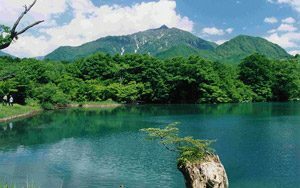 Enjoy the City of Nagano with its long history, rich culture and beautiful nature. Centered around the national treasure Matsumoto Castle, Matsumoto has thrived as a castle town for over 400 years. 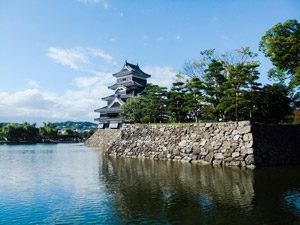 Located in Nagano Prefecture, the central part of Japan, the history and culture of Matsumoto have been nurtured in the area’s beautiful natural environment. 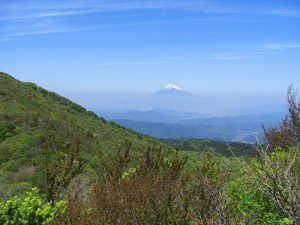 Izu city is located in central Izu peninsula in Shizuoka prefecture, where only takes about 2 hours from Tokyo. 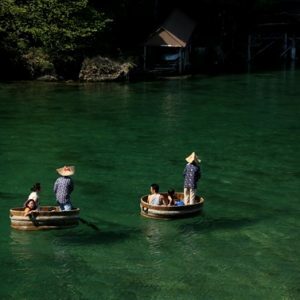 It is popular for its beautiful nature, beaches, and rich hot springs. You can even have an amazing view of Mt.Fuji as well! Katsuyama is one of the most prominent dinosaur fossil areas nationwide. “Fukui Prefectural Dinosaur Museum” is one of the three great dinosaur museums of the world. You can see more than 40 kinds of fossilized dinosaurs and specimens on geology and paleontology. Another unmissable place in Katsuyama city is Heisenji shrine which was established in the year 717. 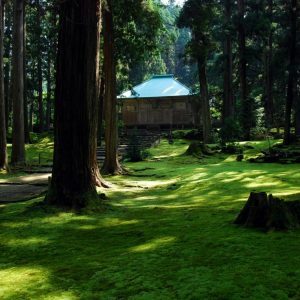 The shrine is covered with thick layer of moss and Japanese cedar trees. The mysterious and sacred atmosphere there with 1300 years of history will make you feel as if you had been transported though time.